The quintessential American restaurant Applebee’s Grill & Bar finally opened its first Philippine location in Bonifacio Global City last Tuesday. 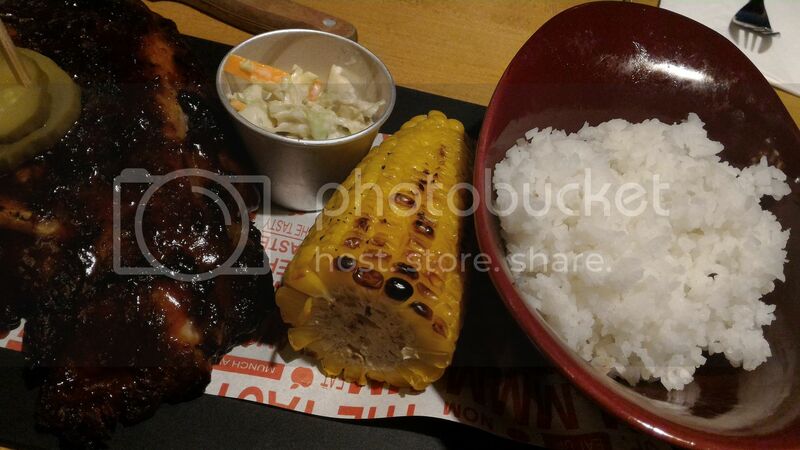 I know my husband will enjoy Applebee’s ribs like I did when I was invited to try their sumptuous food offerings during their special media preview held earlier this month, so that’s where we went last Saturday. We ordered Pork Ribs, Fiesta Lime Chicken, Pizzadilla and Triple Chocolate Meltdown. I was right! Hubby loved Applebee’s Pork Ribs! He said it’s one of the tastiest and juiciest pork ribs he has ever tasted. The ribs were so tender, too! These Pork Ribs are served with corn on the cob, French fries and coleslaw with four choices of sauce (honey BBQ sauce, smoky chipotle, spicy sweet Asian chili and Korean BBQ sauce). We highly recommend this! 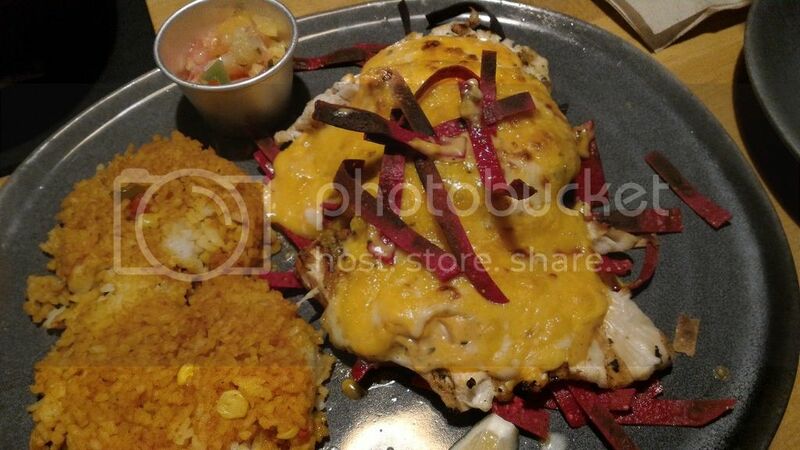 My order was Fiesta Lime Chicken is fiesta-style grilled chicken with lime sauce, Mexi-ranch and Jack cheddar cheese, served with crispy tortilla strips, Mexican rice and pico de gallo. This is slightly spicy, but that didn’t stop our son from trying it and asking for more. Our son said he’d have the Pizzadilla, one of the kids’ meals at Applebee’s. 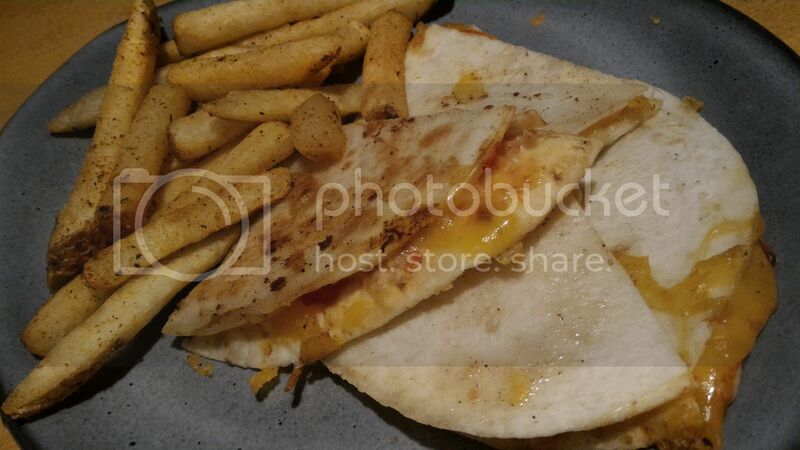 This is flour tortilla filled with melted Jack cheddar cheese and marinara sauce, served with French fries. It’s slightly crispy on the outside but soft, warm and gooey on the inside. He enjoyed it! As a matter of fact, his food was gone in a jiffy. To cap off our delicious dinner, we tried their Triple Chocolate Meltdown. 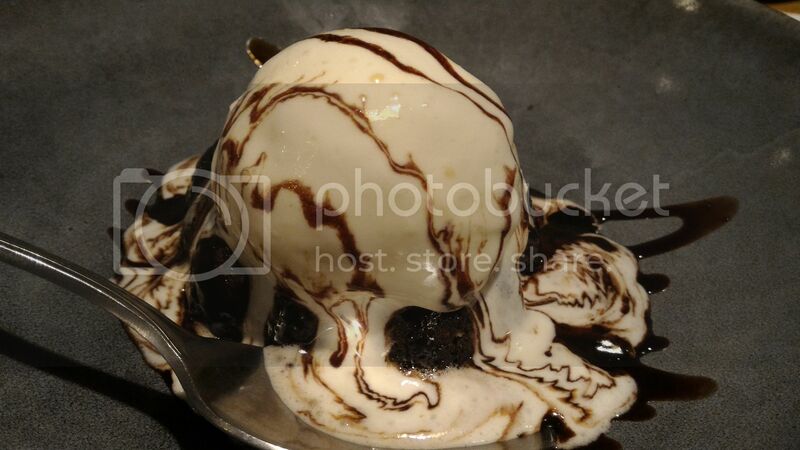 This is rich and moist chocolate cake with a fudge-filled center, served with vanilla ice cream and hot fudge. Yummy! My boys have given their verdict. They love the food at Applebee’s, plus the huge servings. The waitstaff are uber- friendly and accommodating, too. We will definitely be back! 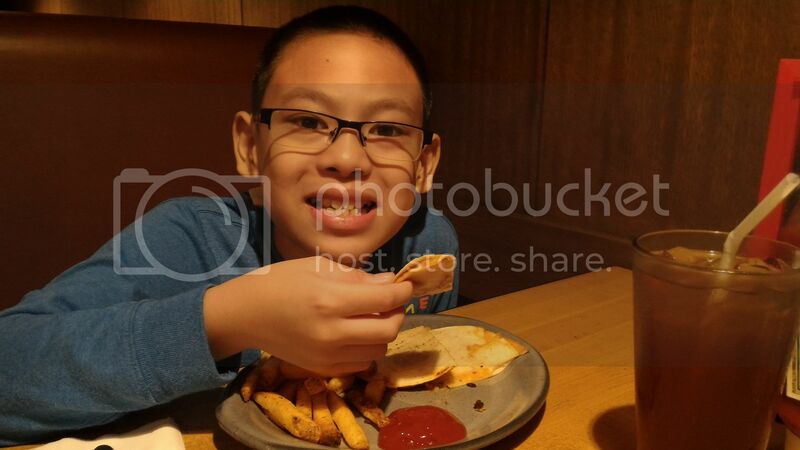 This entry was posted in Applebee’s Grill & Bar, Bonifacio Global City, Family Dinner, Fiesta Lime Chicken, Pizzadilla, Pork Ribs, Triple Chocolate Meltdown. Bookmark the permalink. That chocolate meltdown looks so appetizing right now. Making me want to get up and get some ice cream from the freezer wahhh. The food looks so good. It’s nice that they have something for kids too. Glad you enjoyed your dining experience. I LOVED Apple Bee’s here too. Hubby and I is our place for a lunch date. We loved the 2 for $20 and always ordered the steak. The Triple Chocolate Meltdown looks divine. © 2015 Pensive Thoughts. Look At Me theme created by Squeesome.